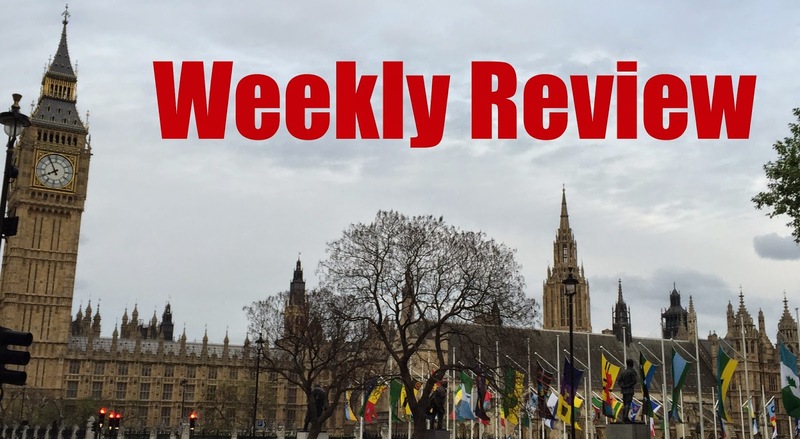 This week, Cameron threatens his cabinet, the Labour leadership race gets smaller, the Chancellor plays at politics and the Liberal Democrats revisit electoral reform. Article of the week: The Guardian interviews Ruth Davidson, leader of the Scottish Conservatives – from the interview it is clear to see why the likeable and down-to-earth Davidson is touted as a future leader of the Tory party. In another week dominated by the upcoming EU referendum, the campaign took an interesting turn on Monday. Initially, the Prime Minster said that Conservative Minsters would be sacked if they backed a Brexit, meaning unlike Harold Wilson's cabinet in 1975, cabinet "collective responsibility" would be maintained. This, however, seemed to indicate that Cameron has already decided that he will be campaigning to stay in the EU – no matter the outcome of these negotiations. However, very quickly David Cameron "clarified" his comments, saying he'd yet to decide what to do – much to the surprise of all the journalists who wrote the first story. Cameron said he would only impose "collective responsibility" to the negotiating stage, he would then decide whether cabinet ministers could campaign for an exit nearer to the time – that makes sense...why didn't he just say that the first time? This whole saga has damaged Cameron's position with his backbenchers. Over 100 have now joined a Eurosceptic group called "Conservatives for Britain" (almost half his backbenchers) – once again illustrating that many MPs are determined to get out of Europe no matter what powers are repatriated. Cameron's arrogance will not have endeared him to many of those MPs. After five years, the Labour party have finally backed an EU referendum. On Tuesday, Labour MPs filed through the "Yes" lobby with the Conservatives, voting for the EU referendum bill, leaving only the SNP voting against. However, this new-found unity on the referendum does not mean the Labour party have resolved all their differences, their next problem is the campaign. Many frontbenchers want to form a pro-European campaign group, before the outcome of renegotiation is known. Many Labour politicians will be wary of the referendum becoming a vote on the Conservatives record in government – much like the AV referendum became a vote on the Liberal Democrats popularity (or unpopularity). In leadership news, Mary Creagh has withdrawn from the Labour leadership contest, after receiving less than 10 endorsements – much less than the required 35. Jeremy Corbyn, the left-winger, has about 21 votes, needing another 14 by tomorrow – the likelihood is that it will be a three-horse race between Andy Burnham, Yvette Cooper and Liz Kendall with the likely winner unclear at this stage. After promising to implement a law saying that the government would not raise income tax, national insurance and VAT, the Chancellor has taken this one step further – a law to ensure the government always runs a budget surplus (you can't solve all your problems by legislating them, George!). This potential law is essentially Osborne playing politics – the Labour party will look like they haven't learnt the lessons of their previous time in government if they oppose it. However, many academics have come out and said that Chancellor is ignoring "basic economics" – saying it will prevent the government from borrowing when it needs to. Once again, the Chancellor is attempting to score political points with the economy. Tim Farron, the frontrunner for the leadership of the Lib Dems, has set out a red line for any future coalition (which seems unlikely at this stage...sorry Tim!) - his precondition would be automatic introduction of proportional representation, without a referendum. Given the last coalition negotiations resulted in a referendum on AV nobody wanted it makes sense for the Liberal Democrats to make it clear they won't negotiate on this long-standing policy again. Also, given the lack of a referendum it may be a sign that Farron is ruling out coalitions in the short-term future – as reform without a public vote would be difficult for Labour or the Tories to agree to – giving Farron a chance to rebuild the party.